What a spectacular way to fight against the gun-control nuts. And you can bet the Left hates what this New Jersey school district did to protect its students. An entire school district in New Jersey has voted to roll out new security measures in the wake of the deadly Florida high school shooting, and now there are additional calls from other districts in the Garden State for similar tactics. All 11 schools in the East Brunswick district will soon start to see armed police officers stationed outside. However, some people say the idea of having guns at schools is not what they want students learning while others say they want to see security changes at their district. The stupid things kids say. In fact, firefighters do fight fire with fire. They set up “controlled burns” in order to keep fires contained. The Left wish to use kids to help with their gun-control initiative. The same Leftists who ignore gun violence in the inner city rise in unison when one of their own shoots up a school. Truth be told, Leftists LOVE when these shootings occur. Placing armed security officers at schools ruins the gravy train for the Left. They know for a fact that armed security will lead to a decrease in such shootings. In fact, threats from students against the school prompted the decision to get armed security. Ask yourself what happens when school shootings drop to almost zero? During the Era of Obama America experienced more mass shootings than at any 8-year period in history. What solutions did the Left offer during this time? Gun control. 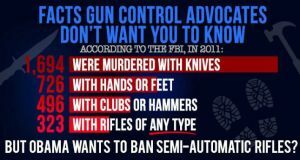 When have the Left ever discussed anything but gun control. They claim that its only the rifles they want, but rifles are the least dangerous, when it comes to violence committed with guns. So knives are geometrically more dangerous than guns, as are hands and feet. Sure they do. As teenage boys say to their girlfriends, “Just the tip!” Then whammo. Congratulations to this New Jersey school district for taking the bold step to prove the gun-control nuts wrong. But it’s not like they need to. When is the last time a government building was shot up? Here’s a story of a government building being shot at. The Martin County Sheriff’s Office believes the suspect in a string of shootings at government buildings in the county may have been building up to something bigger. Sheriff Snyder made those comments following Tuesday’s dramatic takedown and arrest of a man from Stuart. Deputies with the SWAT team and Aviation Unit arrested the suspect, identified as 32-year-old Nathan Fiorella, early Tuesday morning. The Sheriff’s Office said it had him under surveillance for days. One can only imagine what this Leftist would have done had the building not been loaded with armed security. Note: nobody hurt or killed. And what of this story of a building being shot at 100 times? A gunman unleashed at least 100 rounds at government buildings in downtown Austin, Texas — firing at police headquarters, a federal courthouse and the Mexican Consulate — before an officer shot at him and he died early Friday morning outside the Police Department. Police said that the officer fired at least one round at the suspect but that it was possible the gunman took his own life. He was identified as Larry McQuilliams, 49. “If you look at the targets that were hit, it doesn’t take a genius to figure out that that’s a potential,” Acevedo said. Again, nobody hurt but the man who shot at the building. But what do you think would have happened, if the man had entered the building? Anybody want to guess why this man didn’t enter the building? I researched this topic and could find no story where a gunman entered a government building and shot up the place. But when it comes to schools, that’s not the case, as the latest shooting at Parkland proves. Places with armed security don’t make good targets, even for deranged Leftists.